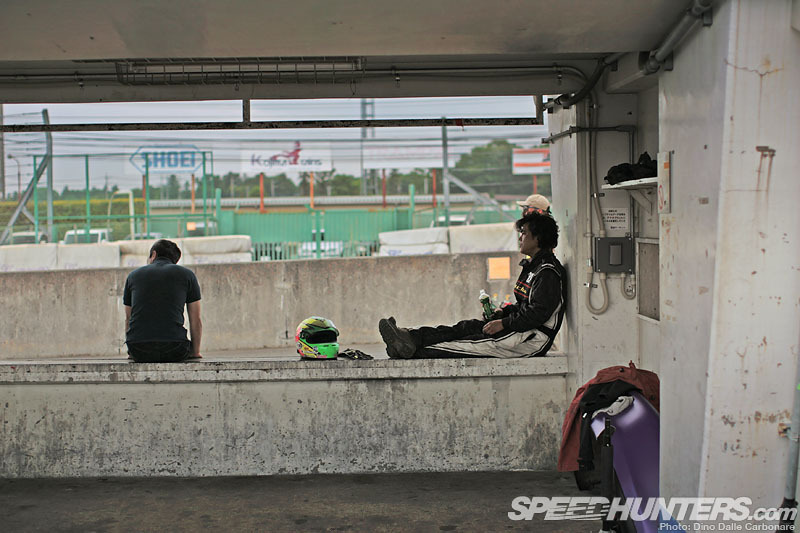 Japan for some reason manages to do grassroots racing so much better than any country I’ve seen. 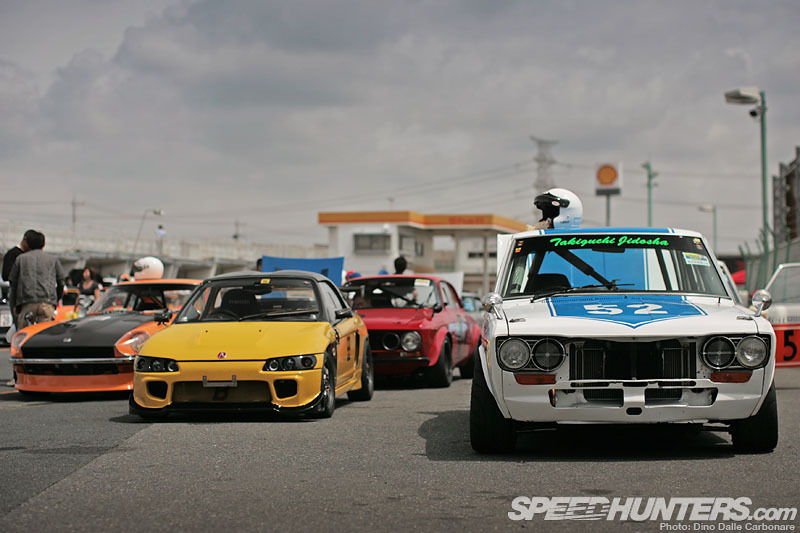 It might be the incredible mix of cars, the balls-out and skilful driving, the way in which they don’t seem to give a damn about tuning and losing authenticity for the pursuit of speed. 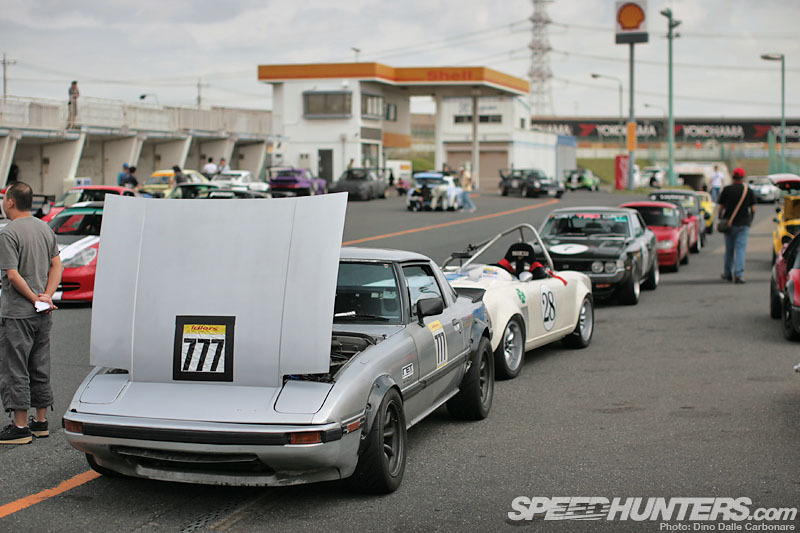 Actually, it’s especially this last point that makes the Japanese so special; they manage to do this, yet at the same time make their cars look incredibly purposeful, and let’s be frank here, absolutely cool. … and as ever I was presented with nothing short of motoring nirvana. … or performance. This kept cars out on track the whole day, drivers practising and shaving tenths off their lap times. 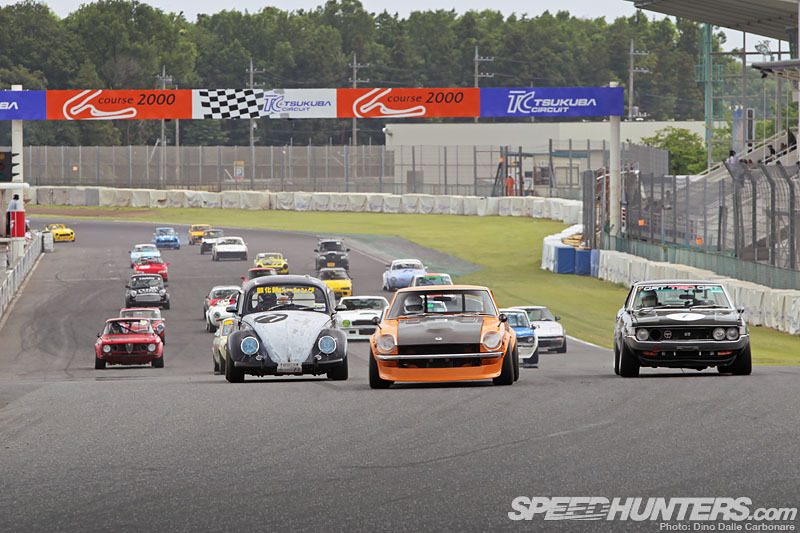 Then it would all culminate at the end of the day in a series of races, giving everyone the full experience and satisfaction of participating in a friendly competition. … examining the way in which they had been transformed to weekend racers, the choice of parts, the wheel selection and how it all interacted together to create the final look. 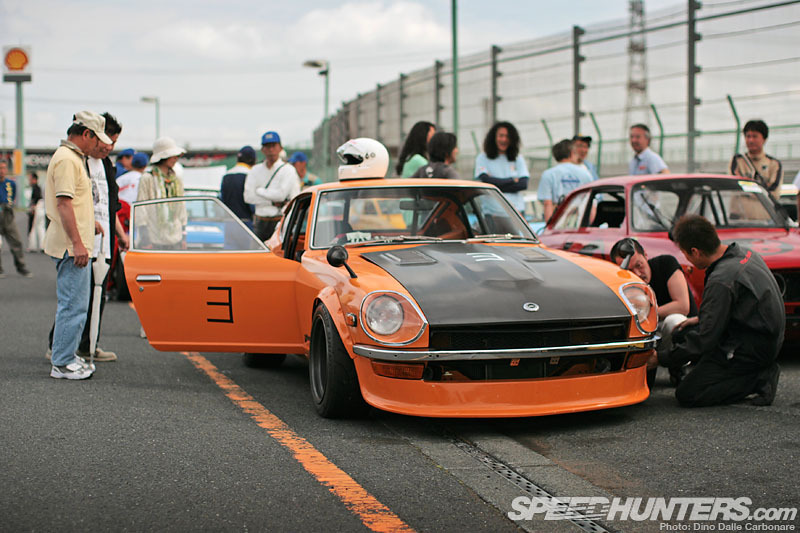 Yep, the Japanese are true masters of this craft; give them any chassis and they will make it ooze presence, in a totally functional and performance-oriented way of course. … all varying interpretations meant to appeal for their originality. 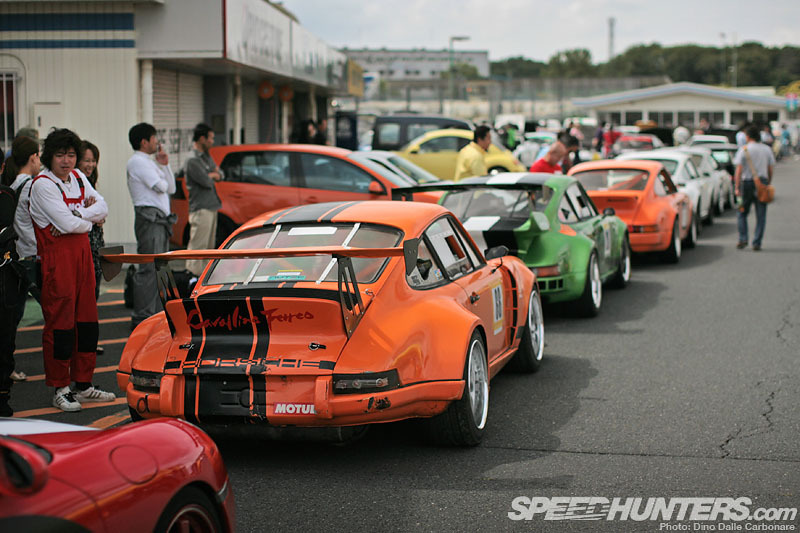 … as well as put the finishing touches to his brand new personal race car: the RWB Rotana. 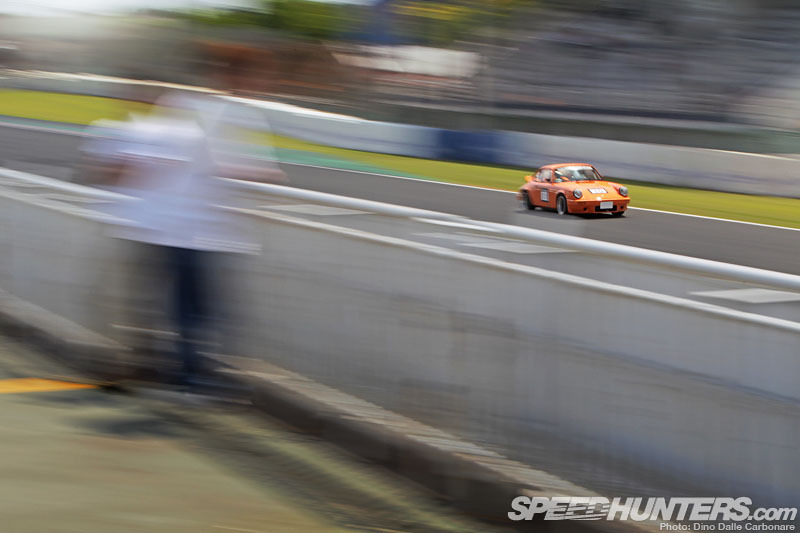 This is new ground for Nakai: it’s the first turbocharged 911 he’s built for himself, and the car that he will use to set fast lap times at idlers events. He is also planning to ship the car around the world, and enter it in races in Thailand, the Middle East and the US in the next year or so. And as you can obviously see he has broken the mould of using his usual stacked banana-wing signature rear end, coming up with an even more in-your-face rear spoiler design. 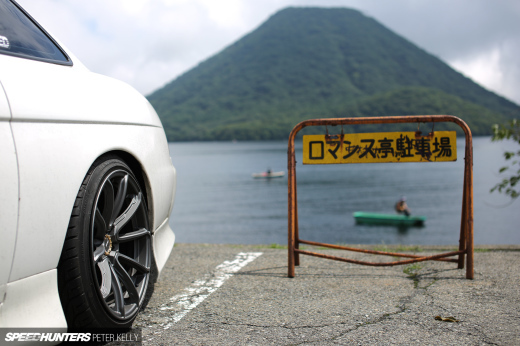 Later on this week I’ll be posting a full feature on this 575hp 993, so I’ll stop talking about it now. 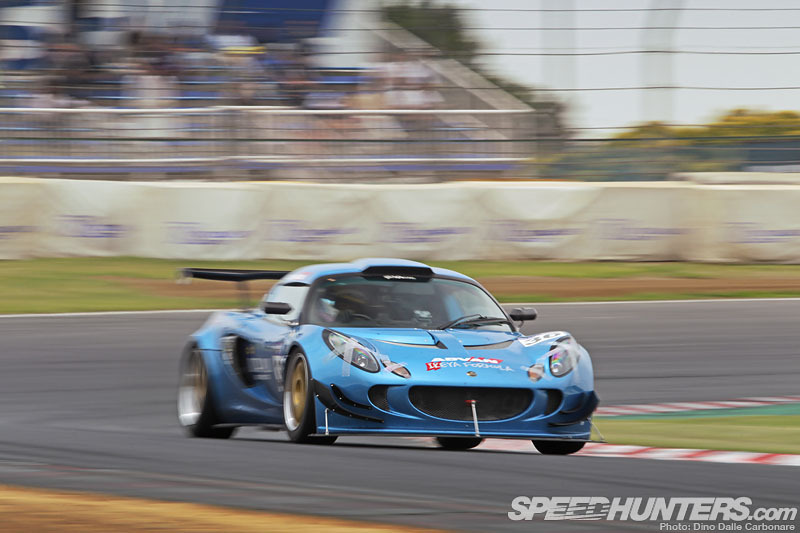 Outer Plus with TiR was also present and brought one of their wild widebody Exige S’s to put to the test. 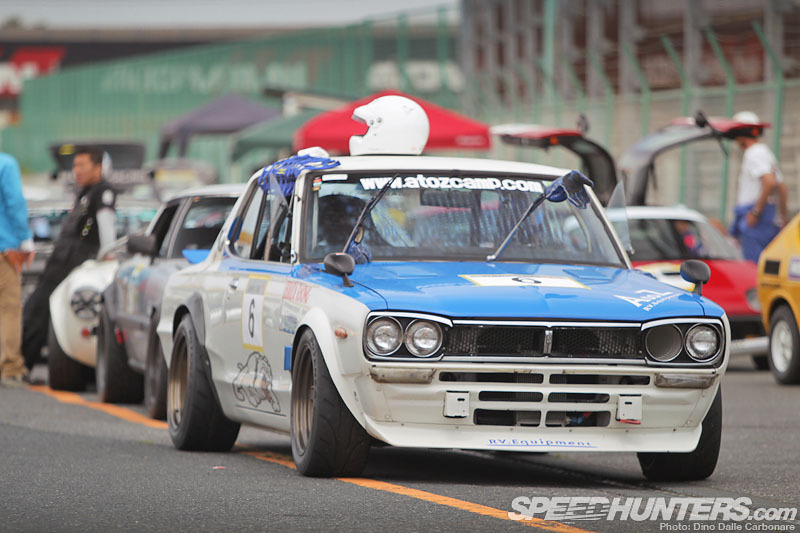 It was one of the fastest cars present. 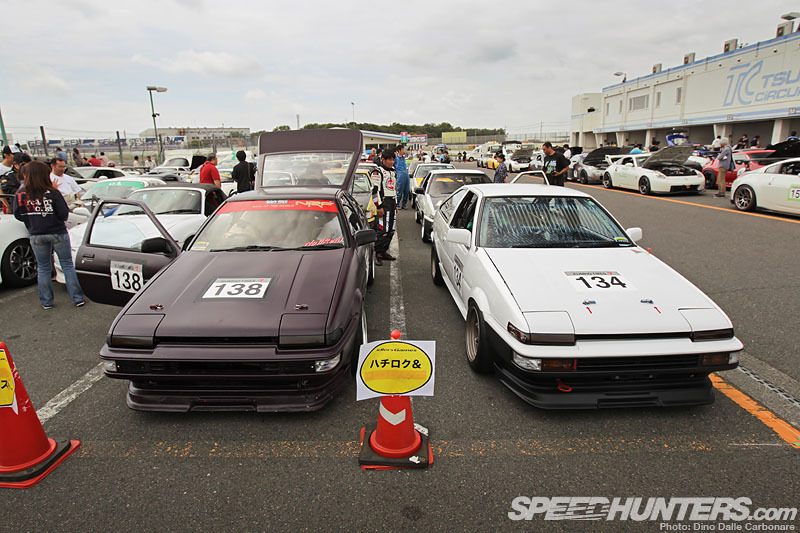 … was Nojima-san’s Trueno, ready to hit the track and the afternoon AE86 group race. 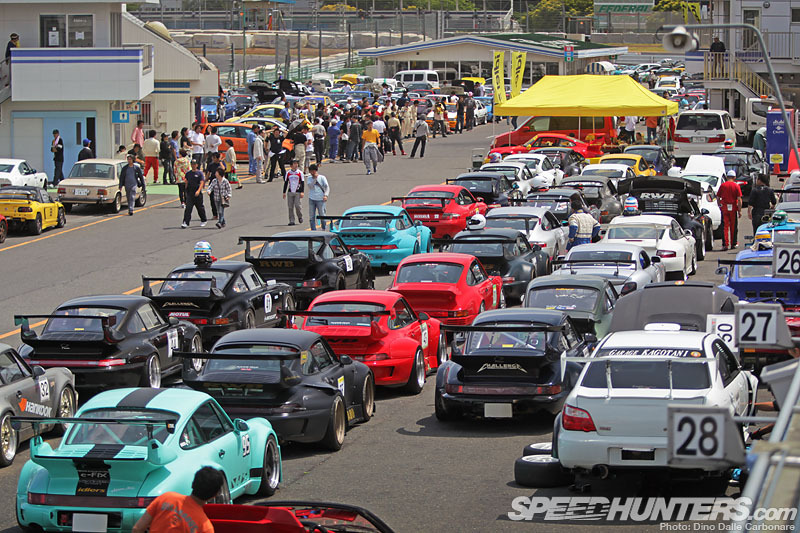 Nojima-san is the guy responsible for all RWB’s wild paint jobs and aside from being Nakai’s ‘paint guy’ he also happens to have a pretty cool garage of his own. 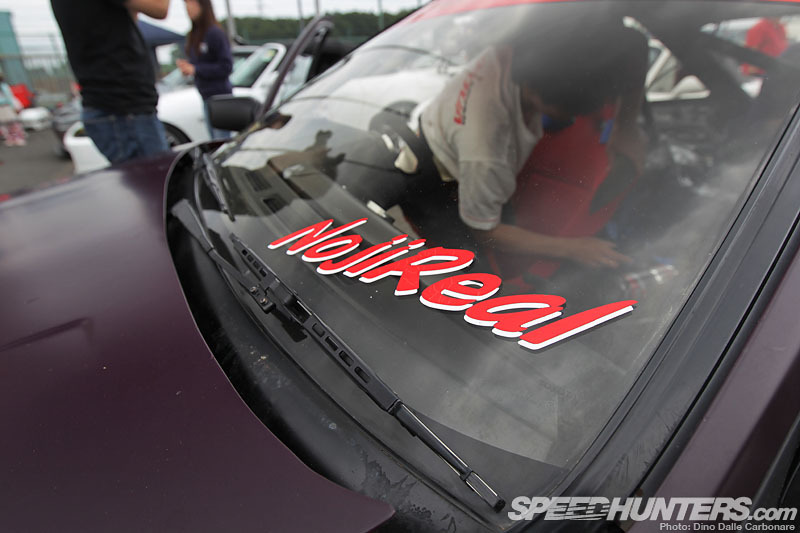 NojiReal is a place you can expect to see more of very soon. 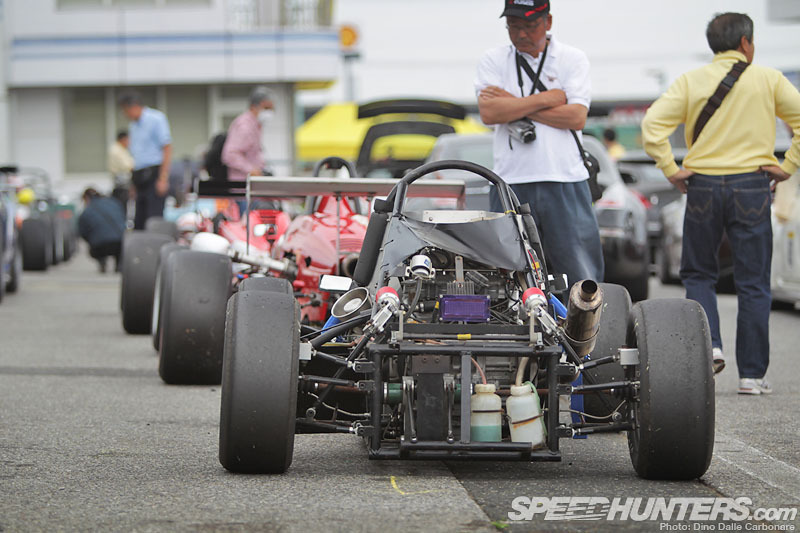 A small Formula class was set aside for the dozen or so open-wheel racers that are also part of the idlers Club, serving as the more extreme side of the cars on the paddock. I don’t think I’ve ever seen an Audi at an idlers meet, so this stripped out and rather powerful A4 was a very welcome addition; a good way to get ready for this month’s Gatebil event! 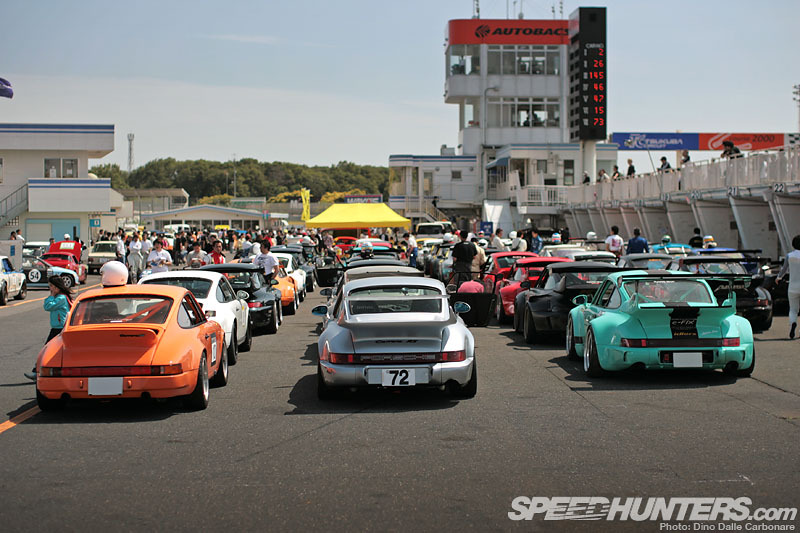 … along with the remaining other 55 Porsches entered! 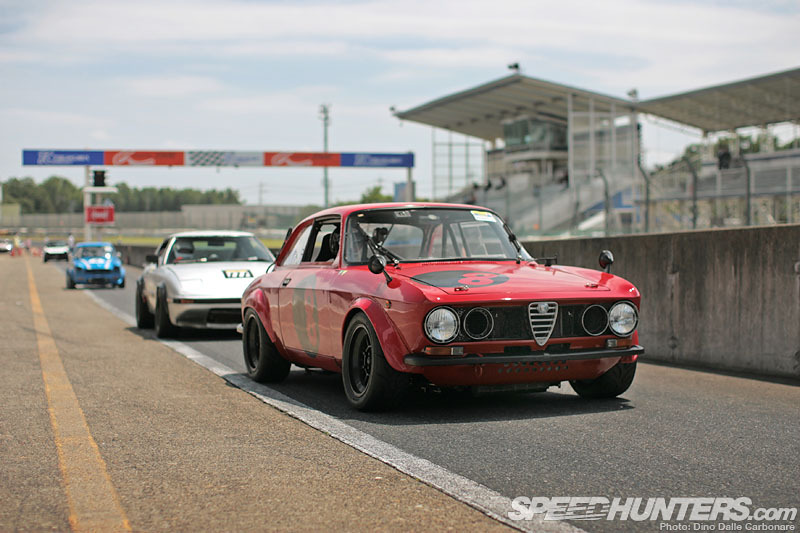 I will have a few interesting little cars to show you too, just to make a point of not only the variation of rides you can expect to find at idlers events, but also how you don’t need to invest your life savings to enjoy a bit of fun racing. So I’ll stop here for now and start prepping up a few Spotlight-O-Ramas for you to enjoy! Make sure you check back and see what cars I have selected, and make sure you download some desktops below.